In his encounter with the adulteress (John 8:7), Jesus begins to write, "Die sonder sonde is, die w…" ("He that is without sin [among you]") on the ground. 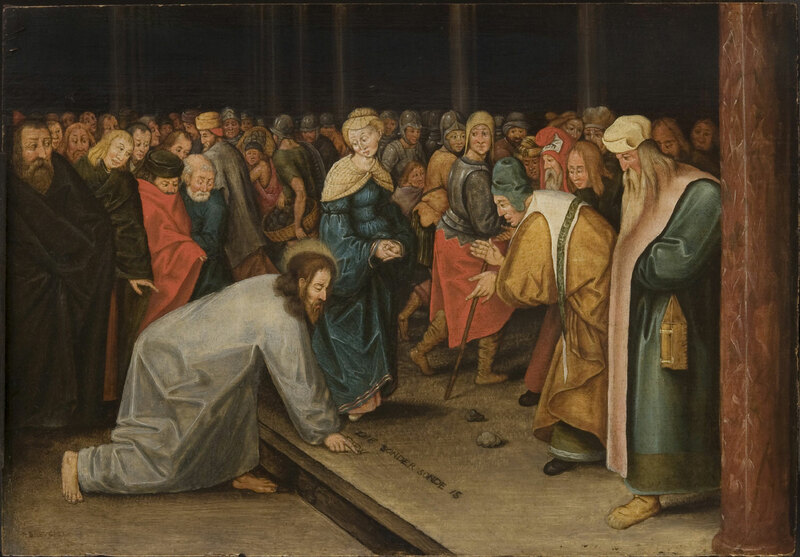 For this work, Pieter Brueghel the Younger followed the composition of his father's (Pieter Bruegel the Elder) 1565 grisaille painting, now in the Courtauld Institute of Art Gallery in London. The younger artist spelled his last name differently than his father.